FUJIFILM MEDICAL SYSTEMS EUROPE HIGHLIGHTS ARTIFICIAL INTELLIGENCE INITIATIVE AT ECR 2019 AND CELEBRATES SYNAPSE 20 YEARS ANNIVERSARY. This year at the European Congress of Radiology (ECR), FUJIFILM will display its evolving portfolio of medical informatics and Enterprise Imaging innovations, by presenting REiLI, Artificial Intelligence (AI) technology initiative and enhancing Synapse functions with SYNAPSE 3D CONSOLE MODE. FUJIFILM Medical Systems Europe will celebrate SYNAPSE 20 years anniversary and will present, REiLI (*) the company's global Medical Imaging and Informatics Artificial Intelligence (AI) technology initiative at the European Congress of Radiology (ECR) annual meeting to be held from February 27th to March 3rd, 2019 at Austria Congress Center Vienna, Vienna, Austria. Under the REiLI brand, Fujifilm is developing AI technologies that strongly support diagnostic imaging workflow, leveraging the combination of deep learning in its AI technology with Fujifilm's image processing heritage. Applications currently in development include, but are not limited to: Region Recognition, an AI technology to accurately recognize and consistently extract organ regions, regardless of deviations in shape, presence or absence of disease, and imaging conditions; Computer Aided Detection, an AI technology to reduce the time of image interpretation and support radiologists' clinical decision making; Workflow Support, using AI technology to realize optimal study prioritization, alert communications of AI findings, and report population automation. At FUJIFILM’s in-booth AI Center, it will be possible to see live demonstrations of AI delivering enhanced workflows. SYNAPSE 3D CONSOLE MODE powerful native 3D workflow in Synapse Pacs. Synapse 3D is designed as 3D feature in Synapse 5. It offers advanced 3D rendering in your Synapse Pacs Viewer to perform fast and accurate extractions, stenosis measurements, brain perfusion CT, MRI, and more. From anywhere, with zero foot print client. SYNAPSE 5 is the next generation PACS, Synapse is one of the fastest medical imaging solutions in the industry, offering sub second delivery of extremely large datasets. Its underlying architecture promotes significantly less bandwidth consumption and tighter security. SYNAPSE VNA is the most secure, comprehensive application for storing and providing access to the complete imaging record. It securely integrates more specialties, more devices, and more data than any other VNA. SYNAPSE MOBILITY Enterprise Viewer uses the latest server-side rendering technology to stream imaging securely and quickly to any authorized user. It can be used within applications, directly from your EHR, or on our mobile device apps. SYNAPSE 3D is an enterprise-wide solution for quickly accessing 3D images, and designed for use across multiple specialties including radiology, cardiology, surgery and more. Full integration with Synapse PACS means one-click access from any Synapse client. SYNAPSE CWM, Clinical Workflow Manager, is the most advanced Radiology Information System on the market today. It continues to evolve to support the unique imaging and information needs in today's radiology department. One platform can support acute care facilities, imaging centers, and radiology practices providing distributed diagnosis. SYNCRO-DOSE is the Radiation Dose Index Monitoring system, compliant with the Directive 2013/59/EURATOM of the European Union. Syncro-Dose is a comprehensive system for monitoring and managing patient radiation exposure at enterprise level across different imaging modalities and hospital facilities. Experts and product specialists are available at Fujifilm booth for product demonstration and to create taylor made solutions for any healthcare structure. (*): Fujifilm’s artificial intelligence software is a work in progress and is not commercially available in Europe. Recognizing this trend, Fujifilm saw the opportunity to leverage the technologies it had developed for FCR and contribute to the evolution of connectivity within and among medical facilities. What made Fujifilm’s SYNAPSE concept different was that it used the emerging Internet and web technologies instead of private networks. It was, in essence, a Web-based PACS: the first in the world Offering outstanding medical connectivity based on the convenient and efficient sharing of information, SYNAPSE made possible initial diagnosis at a local clinic, followed by more complete testing and treatment at a larger medical facility, in turn followed by periodic monitoring at the original local clinic. SYNAPSE’s rapid rate of adoption was due in large part to its capability, to contribute significantly to the quality of medical care, including support for the important objective of informed consent. 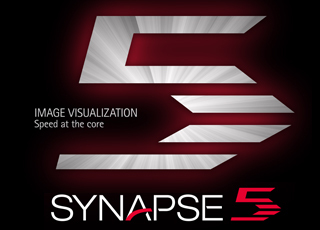 Nowadays 5000 Synapse PACS systems are installed in healthcare facilities around the world, earning the largest market share worldwide (**), and last September 2018 “SYNAPSE VINCENT”, 3D image analysis systems, won “Red Dot Award: Communication Design 2018” - the prestigious international design award in recognition of superior design, outstanding performance, and excellent operability. Experts and product specialists are available at ECR 2019 Fujifilm booth for product demonstration and to create taylor made solutions for any healthcare structure. Fujifilm Medical Systems Europe @ECR 2019, Vienna 27/2-3/3, Expo X5, Booth #503.